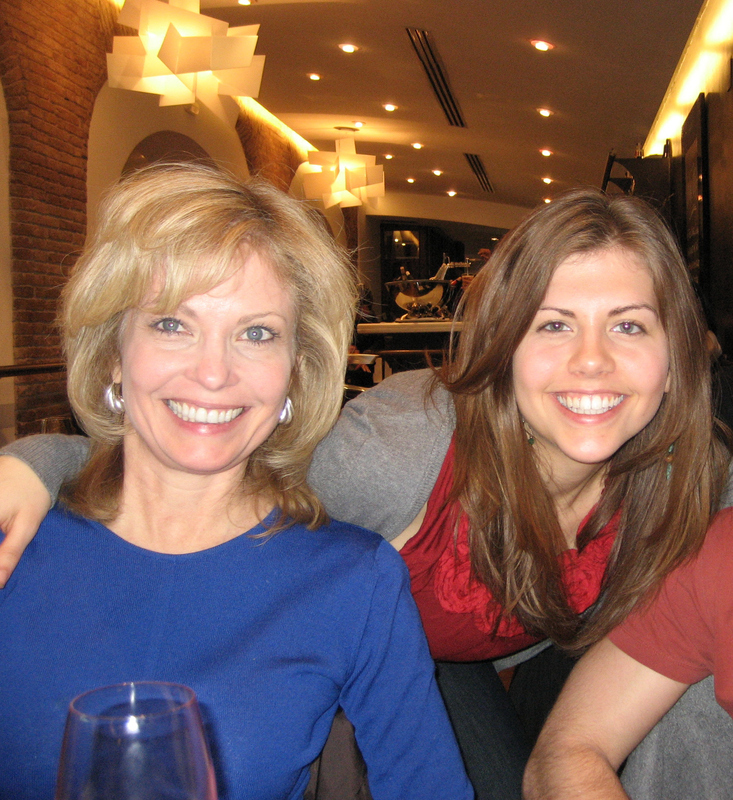 My beautiful mom, Debra, with me in Barcelona this past March. During the last 5 months I’ve often thought: If I’d been born in ___(insert name of developing country here)___ my life would be so different. The mere name of the country on my passport provides me with a degree of freedom and privilege, which was handed to me at birth. I’m coming home with a new awareness of how fortunate I am to have the rights I have as an American woman. But, I’m also returning with an inexplicable appreciation for the female role model I’ve had for the past 22 years. My initial, Western reaction was “Umm, duh. Just because I’m a girl, doesn’t mean I can’t travel alone and take care of myself.” But then I thought about my upbringing. I thought about how gracefully my mom balances the roles of mother, friend, and successful businesswoman. She’s worked so hard to get to where she is and to guide me. By example, I was raised in an environment where no limitations existed because of gender. She always told me I could be, do and change anything with passion and hard work. And when I started planning this trip she supported me and told me she had complete faith in my judgment. While as an American female I have opportunities handed to me that women in other countries struggle to attain, a big portion of where I am today is because I’ve had an inspirational woman to guide me there. So inspiring! Her life AND yours! Visiting this blog via Nick Kristof from New York Times tweet. Keep up the great work. Cheers. This post really made me smile. I, like you, grew up with inspirational women in my family. No1 of those was my mum who unfortunately died suddenly last Nov 5th. She made sure every day that my sister and I knew we could do exactly what we wanted if we tried hard and that she, along with my dad, would support us every step of the way. Having her in my life made me the luckiest person alive and has inspired me to try and give other girls that same security and confidence to go out into the world and live their dreams. I’m raising money at the moment to build a school in rural Cambodia in her memory which is a daunting task but seeing people like you going out into developing countries and making a difference first hand helps me to know that things can change if we try (http://bit.ly/janieblog). Big thanks and love to you and your mum and all the women in the world who inspire us every day (whether they know it or not). visited via Kristoff tweet… fascinating story and kudos to you. will be interesting to see what you decide to do after return to USA. and very curious about how you financed this trip?? You should give a try with Charity:Water or Kiva.org they do lots of non-profit work overseas. Hope you find the right one soon. Cheers. what a glorious post – and yes, we are SO a product of our upbringing. brava!